Over a million people travelled to the state of Oregon to chase the epic solar eclipse that took place this past August 21st, 2017. Of that, 30,000 of them travelled deep into the Ochoco National Forest, just about 30 minutes outside of Prineville, for a week-long celebration surrounding the solar eclipse, the Global Eclipse Gathering. Travellers from all over the world came together and formed a free-spirited community for 7 days straight celebrating through music, art, workshops, trade, and togetherness. It was truly a unique, once in a lifetime experience. 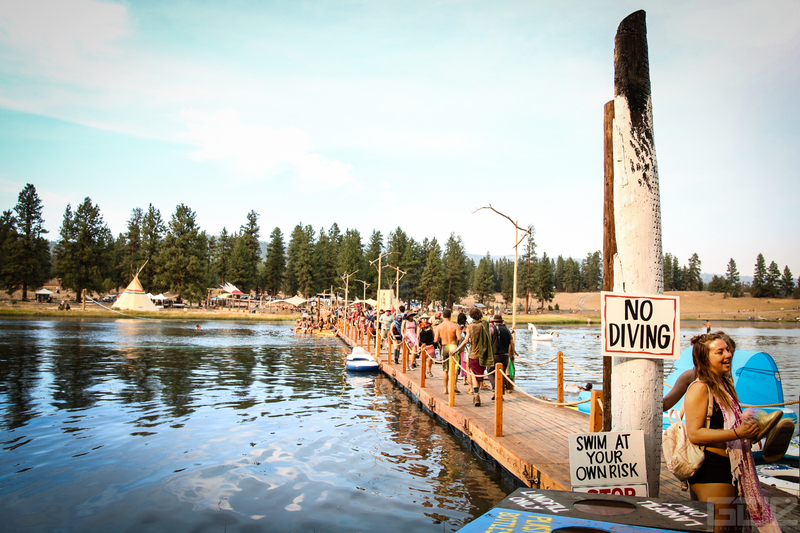 Surrounding a lake, the festival grounds were enormous with plenty of activities and music filled throughout it. Attendees could find themselves (or get lost) on the spiritual grounds offered and shared by the local Natives onsite. 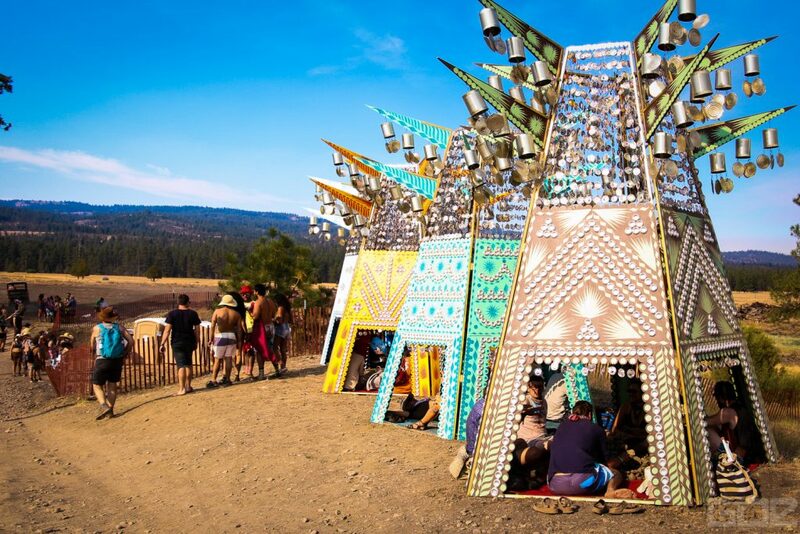 Huge art structures and installations, such as the massive Eclipse viewing temples left countless of wanderers in a glorious awe at its beauty. Whether you spent in your time in one area or constantly exploring the grounds, there was not one art installation or structure that was not creative or visually empowering. 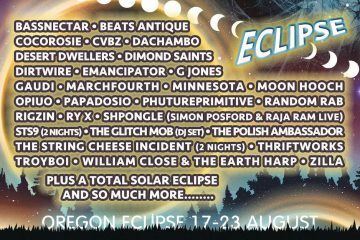 The Global Eclipse Gathering’s artist lineup included carefully selected musicians and DJs from all over the world on celestial and astronomy-themed stages. A massively constructed Eclipse Stage hosted visually enhancing and speaker-blasting music by the String Cheese Incident, Cocorosie, Bassnectar, G Jones, and Shpongle. A crowd favorite include the Earth Heart ensemble, which included an instrument invented by William Close that was really a piece of art itself. 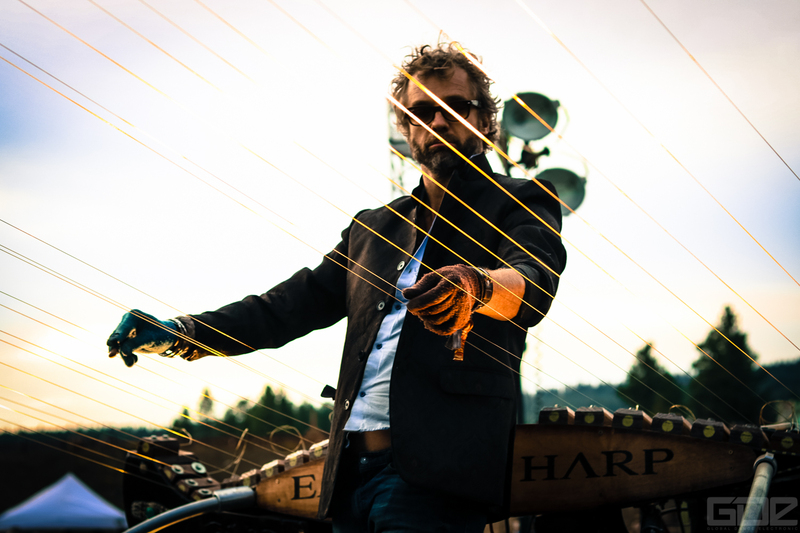 The Earth Harps String extended from the top of the stage and out to the middle of the crowd near a sound booth, where various players were take control and wow the Gathering with stunning emotions. 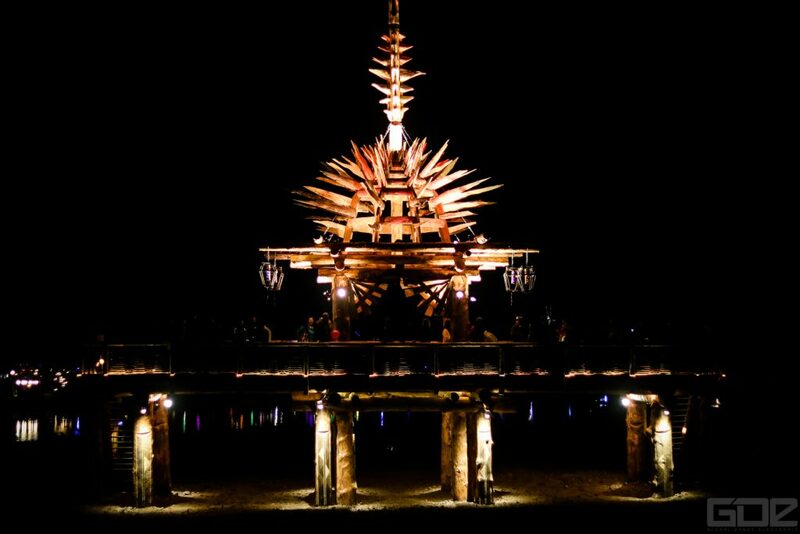 House and techno heads could find themselves moving and grooving at the Sky Stage with stellar performances by Damian Lazarus, San Diego’s Desert Hearts Crew’s 6 hour takeover, Justin Martin & other Dirtybird DJs, and Patrice Bäumel to name a few. 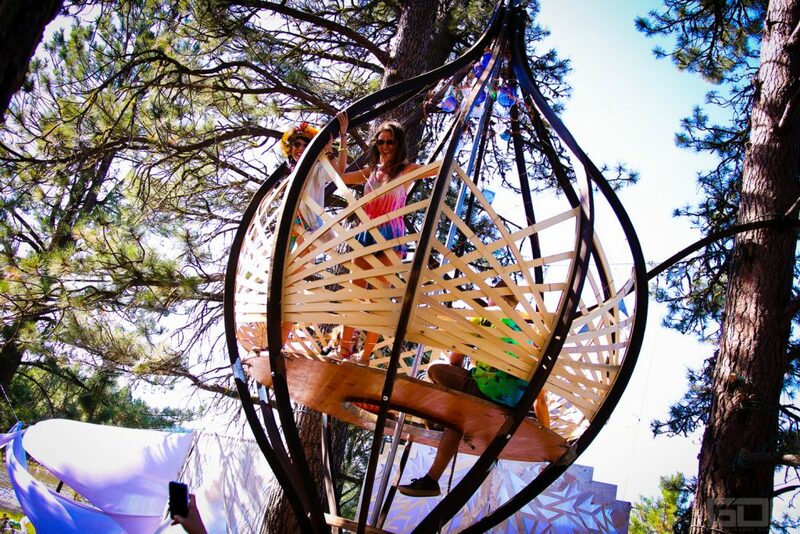 The Moon and Earth stage brought similar bass heavy vibes fueled by trap, dubstep, and bass artists, while the Sun stage rattled the grounds with non-stop, thumping psytrance. When the day of the solar eclipse finally came, all 30,000 attendees migrated toward the eclipse viewing structures, Eclipse Stage, and wide-open prairie to catch glimpse of the eclipse in its totality. 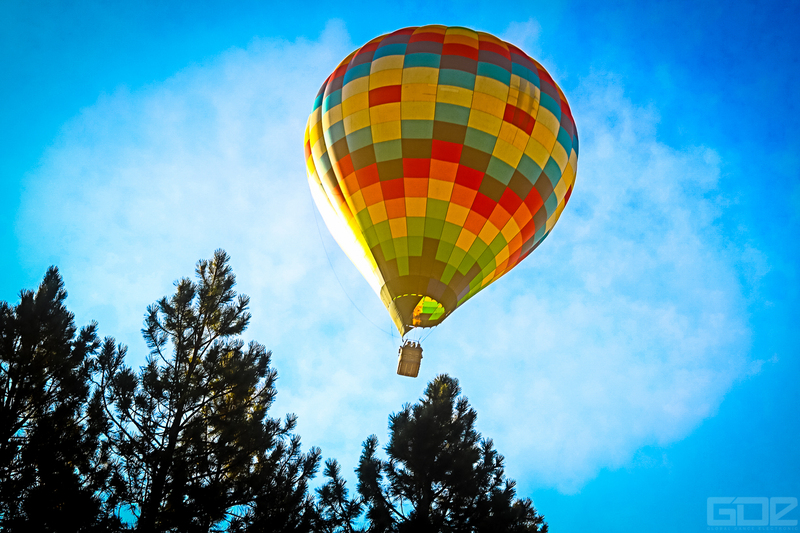 A feeling of collective effervescence pulsated throughout this large gathering of attendees, congregating to one are of the grounds to witness an indescribably beautiful and natural event. The temperature dropped quickly as the eclipse reached totality, and what was supposed to be 10AM sunlight drew back to the amount of light you would see around dawn or sunset. When totality finally covered the sun, the entire festival yelled and howled with excitement witnessing darkness where the sun should be. 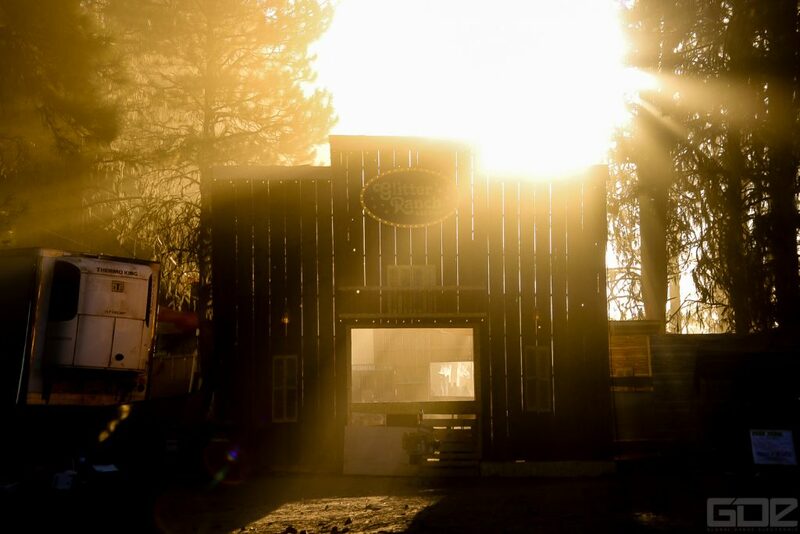 We highly encourage that you all chase a solar eclipse and witness one in totality in your lifetime. It is truly one of nature’s most beautiful spectacles. Check out our Global Eclipse Gathering Photo Gallery.